Helmed by Sean Murray, No Man’s Sky is a space adventure survival game featuring a procedurally generated Universe of 18 quintillion planets, diverse ecosystems, resource scavenging, ship and suit upgrades, trading systems, and other ambitious features. Yet, perhaps one of the most talked-about aspects of No Man’s Sky is the ability to fly from space to any planet’s surface, all without a single loading screen. Impressive! However, this raises the question: are there other games like No Man’s Sky that lets players land their ships on planets in a similarly seamless manner? The definitive answer is ‘yes’! Each game must allow players to actually land on planets’ surfaces. Orbiting close to the atmosphere or merely hovering above the surface does not count. Space-to-land transitions must be seamless. So no loading screens or major scene skips. For upcoming games not fully released, planet landing must at least be showcased in videos revealing seamless transition footage. Concept art and conceptual promises from developers are not enough. Varying levels of landing difficulty / atmospheric detail are okay. Being able to get out of your ship to explore a planet on foot is optional. 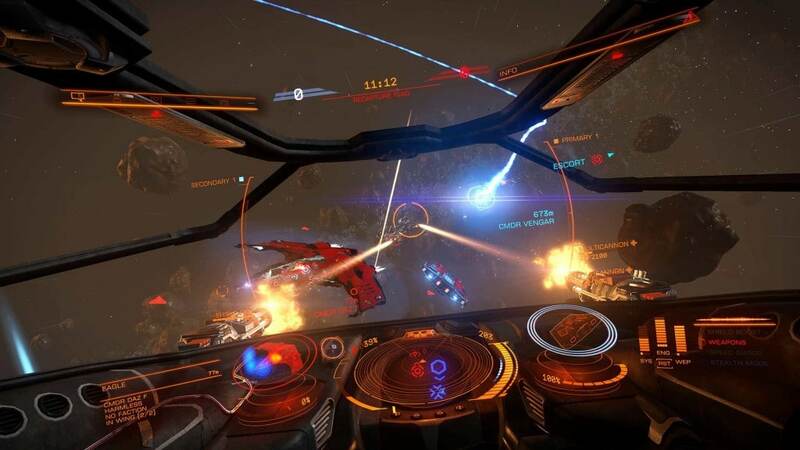 Elite: Dangerous lets players explore a truly humongous universe that’s practically a life-sized copy of our own Milky Way Galaxy with 400 billion star-systems. Like No Man’s Sky, most of Elite: Dangerous is procedurally generated, although some areas have been hand-crafted. Players can also visit space stations, partake in trading, upgrade their spacecrafts, complete various missions, and so on. However, unlike the more streamlined aspects of No Man’s Sky, Elite: Dangerous does place a heavier focus on being a ‘straight up space sim’. This may be for better or worse. Some claim the game to be a bore of vast endless space while others strongly applaud the stunning attention to relative realism. Those opting for the latter will find Elite: Dangerous’ attention to scientific detail to be immensely satisfying. Planet landings have been a core selling point of No Man’s Sky from the get-go. This was not the case for Elite: Dangerous. 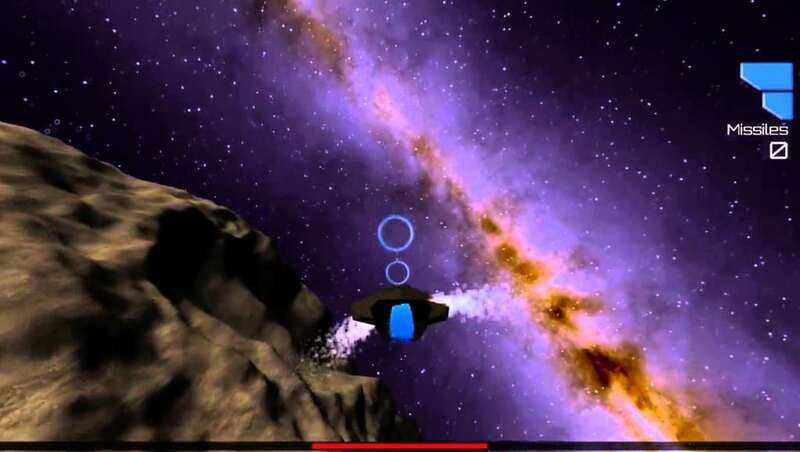 The game was originally released without any planet landing support. However, this feature has since been added thanks to a recent expansion pack. True to its traditional ‘space sim’ roots, Elite: Dangerous’ planet landings can get a bit technical. Players will need to keep a close eye on their ship’s pitch, altitude, and velocity indicators. Compared to No Man’s Sky, planet surface textures are much blander. They can even be quite blurry on landing approach. Additionally, while No Man’s Sky’s planets are teeming with life, planets in Elite: Dangerous are pretty much barren, although some corners are mildly populated with space stations which players can explore with their SRV. The development team is currently working to add atmospheric effects to their planetary landings. All in all, Elite: Dangerous is most definitely worth checking out for those looking for other planet landing games like No Man’s Sky with an added touch of ‘simulation’. 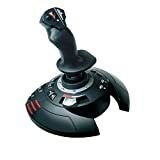 Flight control sticks are a must for full immersion. Read more honest player reviews of Elite: Dangerous. Kerbal Space Program is an almost entirely different kind of space game from No Man’s Sky. While No Man’s Sky is about near-infinite planet discovery and exploration, KSP’s encourages players to creatively tinker with the construction of rockets and spacecrafts. The fun of the game lies with hands-on engineering experimentation as players fight against gravity to get their marvelous custom creations into space. KSP also has a huge modding community that add tons of enhancements and tweaks to existing features. Even NASA has gotten involved! Kerbal Space Program has an incredibly fun landing feature that, in that aspect, makes it similar to other planet landing games like No Man’s Sky. 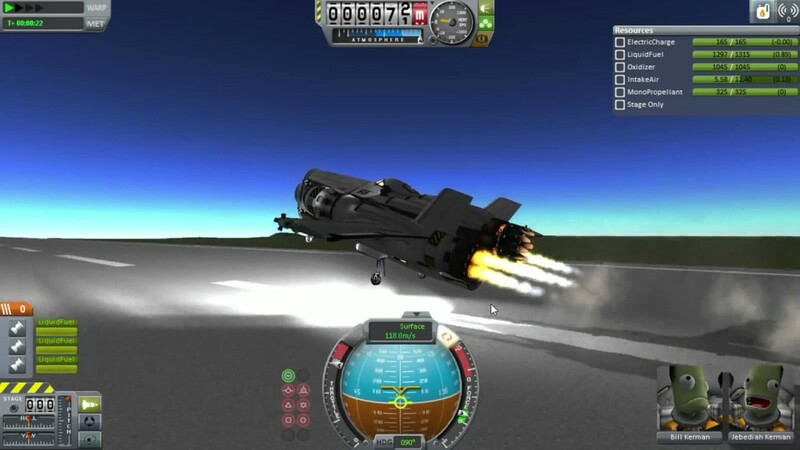 Best of all, each landing in KSP feels like a very unique experience, thanks to highly customizable craft designs and technical specs will greatly impact the success of touch-downs (be sure to get those thrusters working right!). Players can also get out of their crafts to walk on the surface as a cute little Kerbal. Read more honest player reviews of Kerbal Space Program. Evochron Legacy is an expansive space exploration game that lets players partake in a huge range of activities: trading, mining, weapon / craft upgrading, the works. However, more so than most other games like No Man’s Sky, Evochron Legacy specifically prides itself as a “tightly focused technical flight ‘space sim’ with options and gameplay specifically geared toward that objective”. What this translates to is a steep – but ultimately rewarding – learning curve that, like Elite: Dangerous, empowers players with in-depth control over their galactic adventures. This focus on technicality filters into the seamless planet landing feature of Evochron. Players are required to plot the angle of their trajectorial approach, keeping an eye out on their velocities to avoid impact damage. Achieving the perfect landing actually takes quite a bit of time and practice. This might turn off gamers looking for more arcade-style planetary exploration but is bound to please those wanting a bit more ‘simulation’ in their ‘space simulators’. Planet terrains are not the most detailed although, overall, they still look pretty decent. Similar to most planet landing games like No Man’s Sky, players will be able to explore the surface after purchasing a Terrain Walker. Read more honest player reviews of Evochron Legacy. Like most games like No Man’s Sky, Rodina’s planets are procedurally generated on a truly huge scale, though the Universe itself is much smaller. The game also features plenty of ship upgrades that marginally impact space movements and traversals. 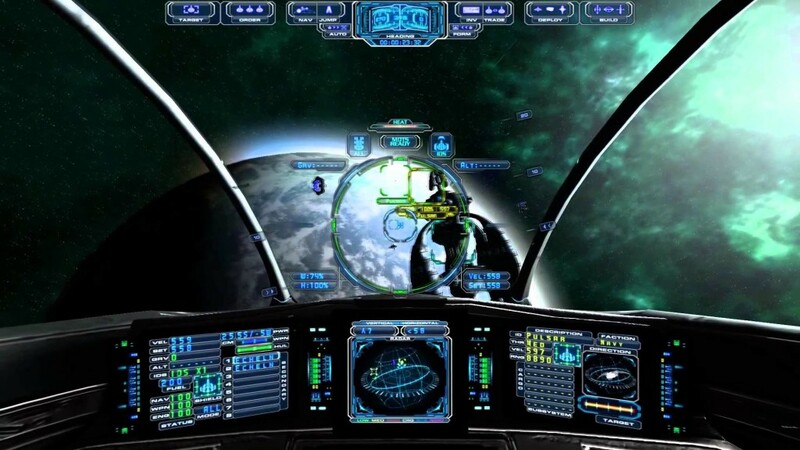 Players can also expect pretty intense space combat battles with a number of alien enemy types equipped with diverse weaponry. Rodina’s orchestral soundtrack has also been highly praised for its incredible production value. Similar to No Man’s Sky, Rodina allows players to fly right down to a planet’s surface, land, and get out of the cockpit to directly explore their surroundings. Admittedly, planets in Rodina are far more barren than in No Man’s Sky. Some may also not be fans of the game’s minimalistic voxel graphics (though we personally love it!). However, none of these things detract much from the sheer fun of blasting through planetary atmospheres with seamless velocity. Rodina currently enjoys a Very Positive Rating on Steam. Impressive, considering the game is being developed by one lone man. That’s commitment! Read more honest player reviews of Rodina. No list of planet landing games like No Man’s Sky would be complete without Star Citizen. Although still in early development, this game is inarguably the most ambitious title on the list (even more so than No Man’s Sky?). Star Citizen is set to showcase a truckload of features. A persistent MMO world? Check! Accurate Newtonian physics? Check! Intense space combats? Yes! Intricate economy systems? Double yes! Multiple ship varieties and upgrades? Most definitely. First person shooting akin to Call of Duty? Wait, what?! That, too? Yes! Now, whether or not Star Citizen actually delivers on all these grand promises is another matter (we’re crossing our fingers!). However, what tickles our fancies for now is the incredible looking and completely seamless planet landing feature. Seriously, everything looks stunning! Surface terrains are crisp and varied. There are also a ton of amazing atmospheric touches (i.e. realistic cloud covers, sunbeam hues, etc.). Best of all, players will be able to dock at space stations, disembark, and explore incredibly gorgeous urban environments brimming with NPCs and other real-life players. Needless to say, Star Citizen is a mega-title that fan of games like No Man’s Sky will need to keep an eye on. 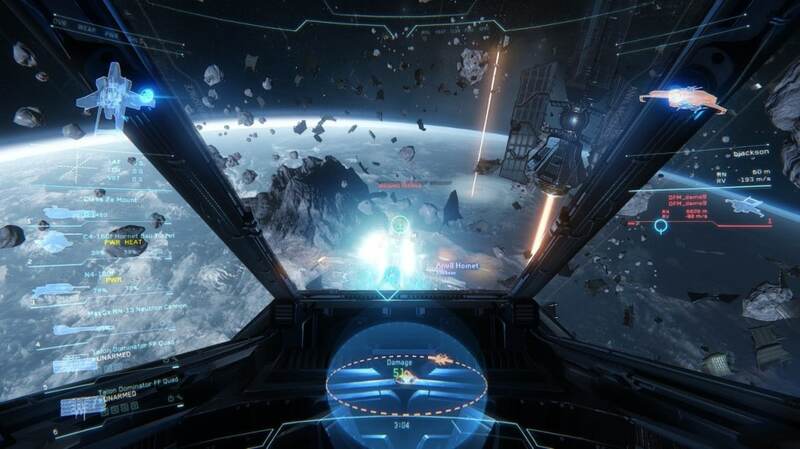 Read more development news of Star Citizen.